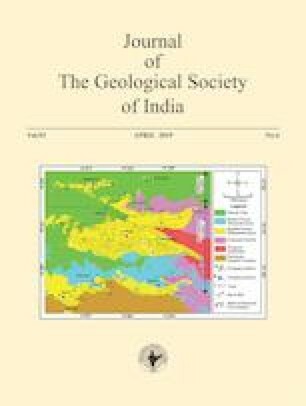 The NNW-SSE trending leucogranites in and around Mastipuram, Wanaparthi district, Telangana are intrusive into Peninsular Gneissic complex. The leucogranite is metaluminous to mildly peraluminous, alkali-feldspar granite with I-type signatures, probably formed from a fractionated melt involving crustal component. Magmatic and hydrothermal contributions are supported by wide range of U/Th ratios in mineralized samples, which also show Na-enrichment as compared to non-mineralized leucogranites. Average U and Th contents and U/Th ratio in mineralized leucogranite is 541ppm, 147 ppm and 2.85, respectively. Main ore mineral is uraninite and its altered form - gummite, while secondary uranium minerals such as schoepite, uranophane and haiweeite are also identified in leucogranite by XRD. Reconnoitory drilling of ten boreholes have confirmed sub-surface continuation of uranium mineralization with varying width of 1m to 31m at vertical depth of about 50m. Thus, the leucogranites bordering Gadwal schist belt around Mastipuram forms a very potential target. Morad, S., El-Ghali, M.A.K., Caja, M.A., Sirat, M., Al-Ramadan, K. and Mansurbeg, H. (2009) Hydrothermal alteration of plagioclase in granitic rocks from Proterozoic basement of SE Sweden. Geol. Jour. (https://doi.org/www.interscience.wiley.com).